What is Your Child Doing on Instagram? Instagram is one of the most popular social media platforms in the world, and it speaks to younger and older demographics alike. While it does have less functionality than Facebook, it presents users with more media-based content, including photos, videos, and Boomerangs. Instagram can be used in a variety of ways, from scrolling through your feed and liking your friends’ posts, to sharing your life on Instagram Stories, to discovering new accounts that pique your interest. In this blog, we’ll be discussing the various ways your child is able to utilize Instagram, including posts, direct messages, Stories, and the Explore section of Instagram, as well as how to use the platform in a safe and healthy way. Does your child want to share an aesthetically pleasing food picture, or maybe a video of the latest dance move they learned on Fortnite? They’re probably going to share this by making a post on Instagram. Sharing these experiences is a great way for your child to engage with friends and family who they may not see very often, and can even be a great platform for creating a brand if your child wants to start their own YouTube or Twitch channel. However, it’s important to know that the photos, videos, and other content your child posts can be seen by anyone if they have a public account, so it’s highly recommended to set your child’s account to private and talk to them about the importance of only allowing friends and family to follow them on Instagram. Many of the other components below are susceptible to random people watching your child’s account, but these can all be made safer by having your child keep a private account. Instagram’s Direct Messages are much like Facebook’s Messenger in how people are able to send private messages, pictures, videos, and links to one another. These messages can be accessed by clicking on the paper airplane icon in the top right corner of the app on the main feed. One important thing to note is that if your child’s account isn’t private, anyone can send them messages. This can be very dangerous, as your child may not know the stranger’s intentions and you may not be present when they receive the message to help them navigate the situation. Like we said before, keeping your child’s account on private can help mitigate these types of concerns. Your child’s Instagram Story is where they can share anything they can find or record on their phone, from an excited video about a new ice cream flavor, to a picture of them and their best friend, to a mini vlog about how their day is going. These Stories can be seen by anyone who follows your child’s account for 24 hours, so it’s important for them to be mindful of what they decide to post online. The Explore section is another functionality of Instagram, which can be found by clicking on the magnifying glass at the bottom of the app. In this section, your child can search for an account, a hashtag, or a subject they want to see more of, such as cute farm animals or fashion advice. 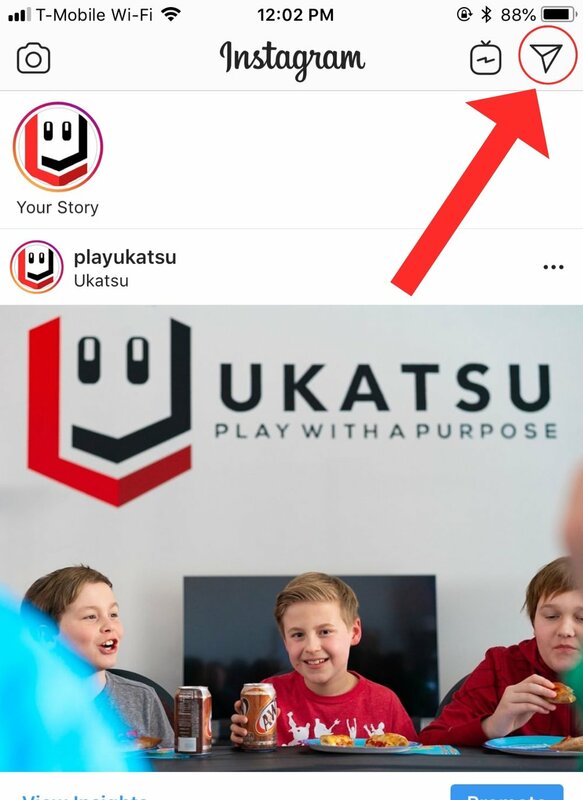 Before even searching however, Instagram creates a small feed of similar photos and videos your child may like based off of their likes and accounts they have followed in the past. There’s also other sections that aren’t curated for your child, such as style, gaming, fitness, beauty, nature, and more. Since this part of Instagram can contain posts and videos from anyone on the platform, this section could contain content that may not be appropriate for your child. If your child wants to explore this part of Instagram, it may be wise to look through the content with them, especially if they are young in age. One other important thing to note is the amount of time your child spends on Instagram, or any social media platform for that matter. When someone receives a like, comment, or other reaction on a post they made, the chemical Dopamine is released in the body, and that person feels a burst of happiness. This may seem like a great response, but when a person develops the habit of being on social media for several hours a day, their brain begins to depend on this source of Dopamine. This addiction soon becomes similar to that of a drug addict or alcoholic. Because of this tendency, it’s important to make social media time a very small portion of your child’s day. Overall, it’s always important to periodically check in on what your child is looking at on Instagram and reminding them to be conscious of what they share and who they engage with on the platform. When used safely and sparingly, Instagram is a fantastic medium for sharing meaningful moments, major life events, and other exciting experiences.